Review: When you read a lot, you realize that there are books — and then there are books — the sort that you want to throw at your friends and scream “READ IT! I HAVE A LOT OF FEELINGS!” This is that sort of book. 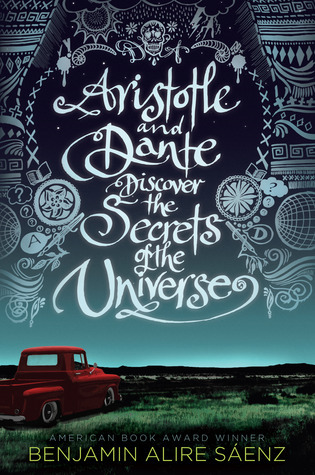 The plot, characters, style — everything about Aristotle and Dante Discover the Secrets of the Universe is done so well. You really get to know the two protagonists, Aristotle and Dante. There’s friendship, romance, family — everything you could want. The only teensy problem I had was with the ending, which felt sort of rushed and a little forced. But, aside from that, it was wonderful. Talk to me and I will gush about this book for ages. Recommendation: Buy it now! It’s such a beautiful story.